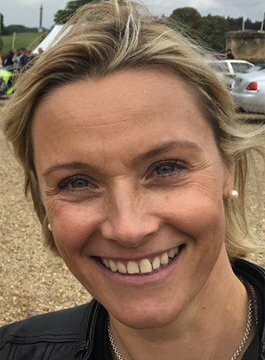 Vicki Butler-Henderson is a natural and friendly presenter with masses of enthusiasm. She has a warm and engaging personality coupled with true professionalism. She is passionate about motor sport but her presenting is by no means restricted to sports. Vicki Butler-Henderson currently co-presents Fifth Gear. Vicki’s experience is extensive and first hand. She completed her first motor sport race at the age of 12 (in a 100cc kart) and was a racing instructor at Brands Hatch and Silverstone by the age of 17! On completing a journalism course Vicki started work at Car Mechanics magazine, before co-launching Max Power magazine and working as a road tester for Auto Express, the Daily Telegraph, The Times and becoming News Editor for What Car? She was also the motoring correspondent for the London newspaper City AM and is currently an occasional writer for The Times Driving section. Vicki has also co-hosted: Top Gear, The Biggest Loser, Domino Day, Wrecks to Riches, Touring Cars Coverage , Date My Daughter, the All Star Poker Challenge, The Boat Show, Formula Woman, Speed Sunday, Power Boat Championships, Holiday on a Shoestring, Country File and One Man and a Dog. Outside of TV, Vicki co-presented the Virgin Radio Breakfast Show in 2003 and has been heard on a number of successful voiceovers including Wrigleys Extra Thin Ice and Sony Stores. Vicki’s love of all things related to motor sport and speed has led her to spend a great deal of her spare time racing cars, everything from single seaters to saloon cars. She currently holds a Race National C licence as well as a Power Boats racing licence. She is also the proud owner of a Ducati Monster 750!